The Information Center of the Egyptian Cabinet has published infographics highlighting the most important aspects of cooperation between Egypt and the US, which has recently seen great developments in different fields. These infographics show that the US is the third largest investor in Egypt in 2017 – 2018, while Egypt is the largest recipient of US investments in Africa and the second largest in the Middle East. This comes in conjunction with the visit of President Abdul Fattah al-Sisi to Washington DC by invitation of US President Donald Trump. US investments in Egypt accounted for 17.7 percent of total investments coming to Egypt. The volume of US investments in Egypt increased by 22.5 percent to reach US$2244.4 million in 2017-2018 compared to $1832.9 million in 2016 – 2017. 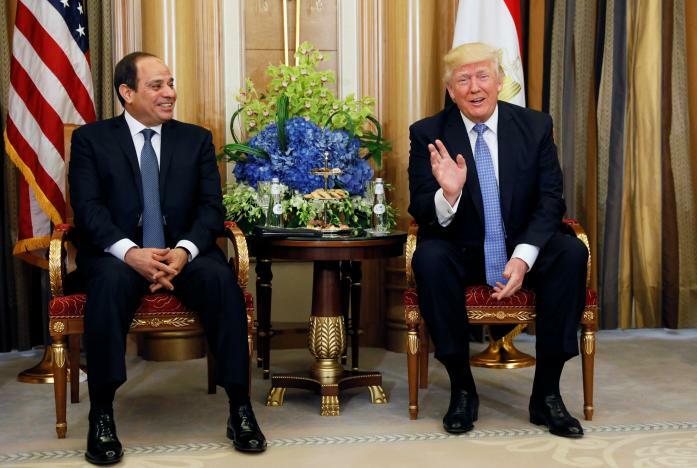 The total US capital in Egypt in non-oil sectors amounted to $2.6 billion distributed in 1268 companies, while the total bilateral agreements signed under the program of economic aid reached $600 million since 2014 until now. Recently, $200 million has been allocated to finance small and medium-sized enterprises and entrepreneurship through the Egyptian-American Enterprise Fund from 2014 until now. Regarding trade exchange between Egypt and the United States, the infographics revealed a 34 percent increase in trade between the two countries to reach $7.5 billion in 2018 compared to $5.6 billion in 2017. Non-oil exports to the US market also rose by 14.8 percent to reach $1658 million in 2018 compared to $1444 million in 2017.